In the first quarter of the year, I got good profits. I believe my blog is helpful to traders who visit my blog every day. My trading results say so. It is April. It entered the second quarter of this year. There is no change in the market. The next four months are likely to be dull. Gold: The gold market is moving as expected. Meaningful prices for XAUUSD are $ 1269 and $ 1251. If the gold price goes up, it will become an opportunity to sell. $ 1307 will be the resistance line. I told the support line for silver price to be 14.95. 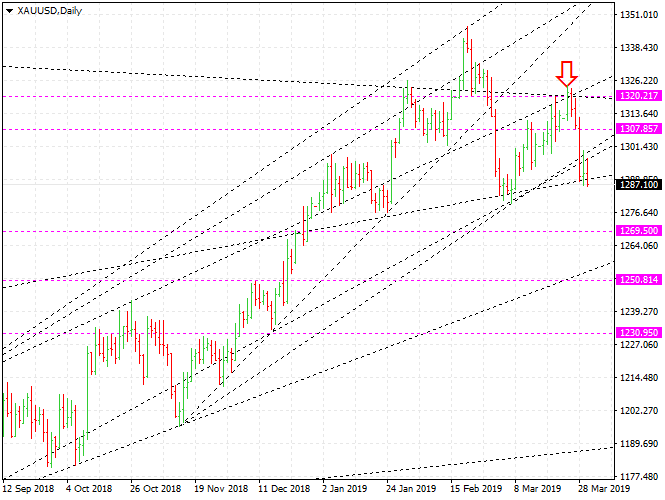 The silver has reached that support line. XAGUSD will drop to $ 14.68. The resistance line is $ 15.37. When the silver price goes up, I will sell more. WTI: The oil market is very unstable. Crude oil prices are rising as expected. Brent oil will rise to $ 75.3 and WTI to $ 68. It is not uncommon for crude oil prices to rise. The situation in the Middle East and South America speaks clearly. Euro: EURUSD is stuck between 1.1173 and 1.1356 in the short term. In the long term, EURUSD will fall to 1.046. If the euro rises, it would be better to find opportunities to sell. We will be able to find an opportunity to sell above 1.13.